Over 28 years of entertainment experience in the DJ industry which results in maturity and first-hand knowledge of what makes an event a success. A list of over 900,000 songs is made accessible to you so that you may communicate to us the type of music you desire, even the specific selections that you do not wish to hear. An attitude of professionalism is what sets apart substandard service from an excellent and memorable performance. We take pride in responding to all your entertainment needs. We place grave inferences on respect. It's our goal to meet you with the highest form of respect. Yous comfortability is important. DJ Mike Production play music that will reach every age. Our music ranges from the early 1900s to now. We provide music for all. It's important that all our DJs are skilled. There are no do-overs when it comes to your wedding. Music is not what we do, It's who we are! We believe in leaving all our bride, grooms, friends, & family with the best experience. We continue to do that by leading with value. We believe in making your wedding a memorable moment. I DJs pay close attention to the mode of the entire room and react accordingly. We are perfectly aware of the fact that your needs are unique. That is why our DJ packages can be customized to fit your party type & style. If you are looking to have a great time, DJ Mike Production is your final stop. DJ Mike Production team of DJs has provided services for many different types of corporate events. We provide services for Holiday Parties, Gala’s, Networking Event, Conferences, Meetings, Product Launches, Company Picnics, Grand Openings, and more. We also provide everything you need in terms of sound, lighting, projectors, and screens. Customize your event with us. 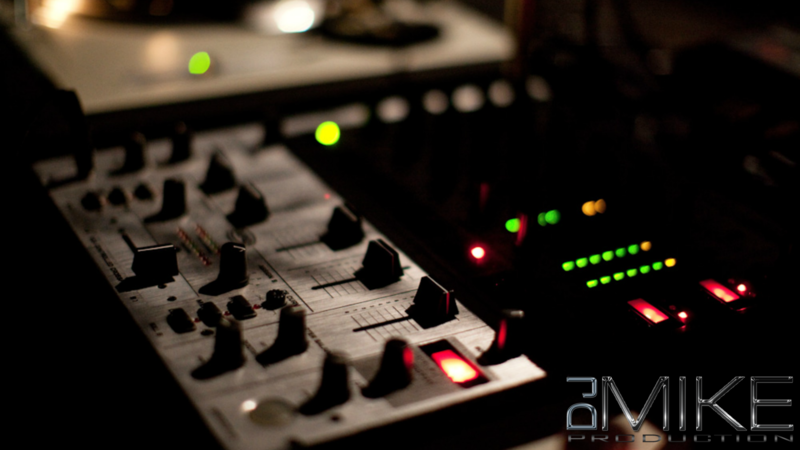 At DJ Mike Production we know the importance of DJ-ing for private events. Our DJs are skilled at providing you with any and all musical demands that are required at Private Events. We have your next DJ for your event. DJ Mike Production has a wide variety of DJs, all of who connect perfectly with a young audience of Teens or Pre-teens. We have provided DJ services at High School Prom, Homecoming, Pep Rallies, Talent Shows, Banquets, Themed Events, and Graduation. If you need someone that is professional, well rounded, who will play appropriate clean music, and has state of the art equipment then you have come to the right place. The reception is the most memorable moment of a wedding and is the part that requires the most planning and professional assistance. At DJ Mike Production we walk with you through the entire process to assure that we provide you with the best musical selection for your event. This will be a Day or ight to remember! Allow DJ Mike Production to help you with making this Special Day Of Celebration one to be remembered. We specialize in providing excellent entertainment service for Bar Mitzvah, Bat Mitzvah, Sweet Sixteen, & Quienceañera celebrations. DJ Mike is easy to work with. Everyone was on the dance floor! Excellent service with songs tailored to the crowd, from the entrance clips to the final song. People are still talking about how fun our wedding was! Made our wedding night one to remember! DJ Mike is the only DJ we recommend to our brides at 2616 Commerce Event Center. He is very professional and has years of experience as a wedding DJ. Our brides are always very happy with him. He is a great DJ for any event you may be planning! DJ Mike was great! Our program was a success and the dance party after was so much fun! You played the perfect music for our “age” group! We should have been dancing instead of playing casino games. When it came time for the auction, you were perfect! You made the evening so much fun and I have been telling everyone what fun you were! Thank you! It was fun watching the guests get excited about a particular song and go running to the dance floor. Also, the variety of music and smoothness of transitioning from song to song. DJ Mike provided some excellent music for our small, semi-casual wedding on 11/22. He kept our non-alcoholic afternoon party of family and friends dancing all through the reception with a mix of classic rock, popular music, and even a special silly father-daughter dance song. He knew the flow of a ceremony, how to read the room and led our afternoon reception all the way through to the end. Everyone at the party had a great time and just had to know who our DJ was! We’re still getting compliments. We were lucky to have a wedding coordinator who knew of DJ Mike and who knew he was THE MAN to guide our wedding from guest arrival all the way through to bridal exit.We can’t say enough good things. We now have at least two couples who have plans to use DJ Mike and only DJ Mike for their upcoming celebrations simply because of the job he did for us. He made a great, small wedding into a wonderfully creative celebration with style and music. I can’t wait to have another event to hire him again. We just hope he’s available!! Book this man – he’s amazing! Personally, I’m an Old School 90’s Hip Hop type of guy and DJ Mike didn’t miss a beat! Enjoyed watching couples slow dance again to the slow jams DJ Mike played. Totally awesome! The evening felt like a party. Mike kept the pace of the evening going, the music was perfect! Many attendees kept mentioning how great the DJ was and how much fun they had. I don’t know that I have ever been to an event where the DJ gets 3 rounds of applause. The school advancement director and the president were quite pleased and look to book Mike for his services at the alumni event at homecoming Oct 2015. Great job!!! 5 stars!! We had a blast at our wedding, couldn’t have happened without DJ mike! He played music we like based on our tastes and hit the mark this is a great wedding DJ. DJ Mike was the DJ of our first ever talent show and dance! We can’t wait to have him back! Words cannot express how impressive a professional DJ Mike was….and the music was major on point from beginning to end. GREAT!!!! Always had music playing and people dancing. It was a joy to watch my family have such an Amazing time. It was an unforgettable memory that my family and I will cherish forever. Working with Mike was a pleasure – easy to get along with, dressed professionally yet trendy, played great music and kept the dance floor full! DJ Mike, you were outstanding! It was evident by the number of guests that complimented you all night! Thanks for keeping us dancing! DJ Mike was awesome he kept our party dancing all night!! All of the guests expressed how much they enjoyed his DJing!! We had an issue the day of our event with sending our Photo Slideshow. The file was too large. Of course, we are freaking out we called him at least 5 times about the issue. Lol. He answered ever call talking us through the issue. He even brought an additional speaker as a last resort to make sure we were able to have our slideshow!! I highly recommend him!! I’m a lifetime customer! I am so happy that I chose DJ Mike, I will never forget my graduation party. He is without a doubt the best DJ around and his professionalism is the best. He is super early to your event to ensure that all needs are met and he sets an awesome atmosphere that you will never forget. DJ Mike, you rock!!!!!!!! DJ Mike played for us at a company Holiday Party. He played great music and a wide variety for a variety of ages. We look forward to working with him next time! He was great and it was a great overall experience! If you want a DJ that will be in sync with the vision of how you want your event to feel and sound, DJ Mike will exceed your expectations. All the guest were asking about the DJ, saying he was awesome and requesting his playlist. It was our wedding and we planned to exit before the guest left. We ended up dancing all night and leaving with the cleanup staff, thanks to DJ Mike and his fantastic skills on the turntables.